Crossfitters are heavy and big in volume of work. Their muscles allow them to lift, pull, push and do cardio at the same time. Triathletes are light and thin. They develop long muscles which enable them to be efficient with endurance. The less they weigh, the faster they'll swim, bike and run. Crossfit athlete’s and triathlete’s diets differ, mainly in two macronutrients which neither of them can live without: protein and carbs. 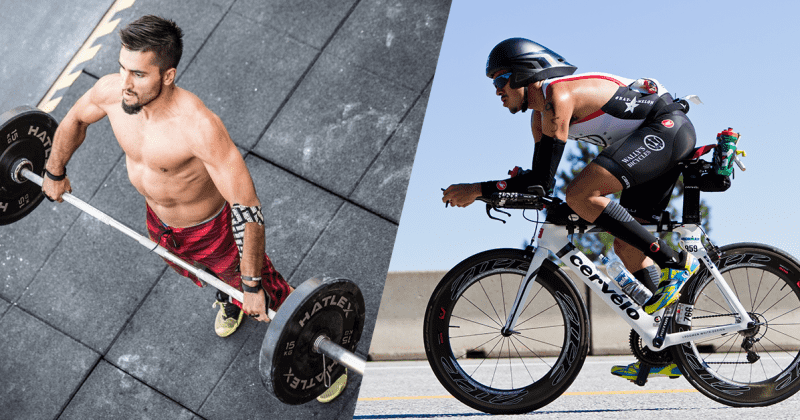 Triathletes are often being informed “You are not a body builder, you don’t have to eat protein every day.” Therefore they eat a lot of carbs – with every meal. Endurance sports require glycogen in order to supply a steady level of energy. Remember during an Ironman (3.86 km swim/180.25 km bike/42.2 km run) a triathlete burns 500 to 1000 cal per hour. The body needs to be fueled consistently so it doesn’t empty all of its glucose supplies. Carbohydrates generate glycogen which feeds the muscles in glucose. It’s the secondary long-term energy storage; the primary energy store being fats. Crossfit athletes usually focus on sufficient protein intake. It helps them feel strong prior a training and recover after a tough Crossfit workout. The body needs amino acids (the ones found in animal foods). There’s no limit in eating proteins. If too much is consumed, they’ll be flushed down naturally. Crossfit athletes like to follow a paleo or zone diet by eating meat, dry nuts and veggies. Protein helps with building muscle mass and losing body fat. Remember, a Crossfit athlete burns 350 to 600 cal per 30 minutes (during a WOD). Protein is best to be eaten during each meal plus during each snack prior and post workout. With that being said, there’s no need to go into an all or nothing mindset. Keeping in mind that proteins repair and carbs refuel muscle should reconcile athletes from both sports, Crossfit and triathlon, with their macronutrients intake. Avoiding carbs for Crossfit athletes is upping up the risk for the muscles to get “eaten up”. After a workout, the body wants to restore the levels of glycogen used up to perform. Glycogen is the fuel for muscles during a workout. 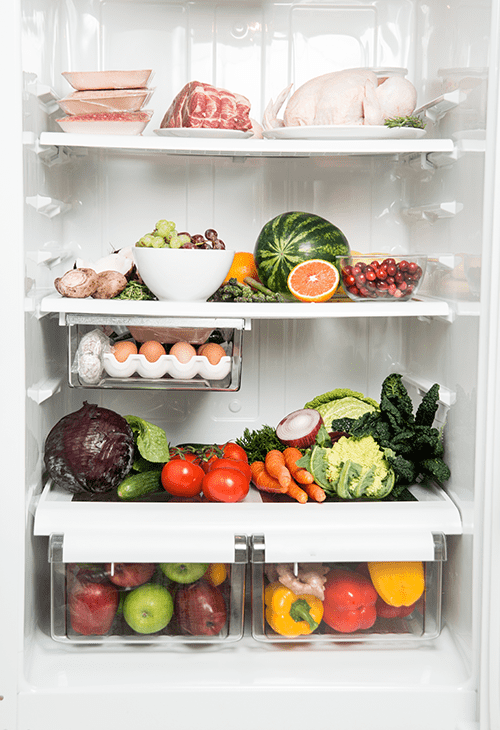 Without it the body pumps into another kind of energy stash: fat storage. And if it gets to that points it deprives muscles from growing and recovering. Therefore, Crossfit athletes have to incorporate carbs into their daily routines as well. Eating low glycemic index carbs after a workout helps out strengthening muscles. Triathletes take advantage of protein by taking it at the right time. If absorbed prior and during an intense effort, protein helps reduce muscle damage. Triathletes often supplement themselves while on their bikes by sipping a sport drink enhanced with micronutrients necessary to fuel their body and to get them through their long run. Following the same process, if protein is taken right after a work out, it will help with muscle recovery. Same as for their fellow crossfitters, right after their triathlon, they need to replace the fuel stores they just emptied to perform.